I have to be honest. Husky hasn’t really been a brand that was much of an influence for me. I just thought of it as another Store brand. That all changed when we were invited to tour the Husky tool testing lab. The torture tests they impose on Tools are quite extensive. 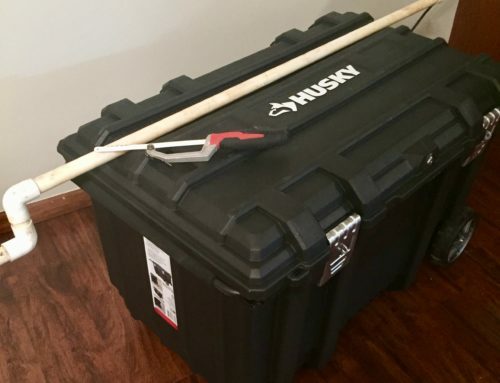 I just couldn’t help but be impressed at the lengths they will go to in order to find the weaknesses in each and every husky tool. 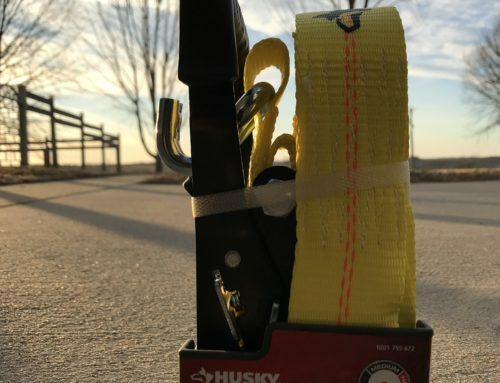 They have all manner of machines and test equipment to stretch, tear, bend and break all of the different Husky products. Coatings are analyzed. Alloys are tested to make sure they meet the specs every time. Tools are tested to failure and everything is documented so that the products can be improved continually. It doesn’t matter if you’re talking about a hammer a tool bag or a ratchet strap. 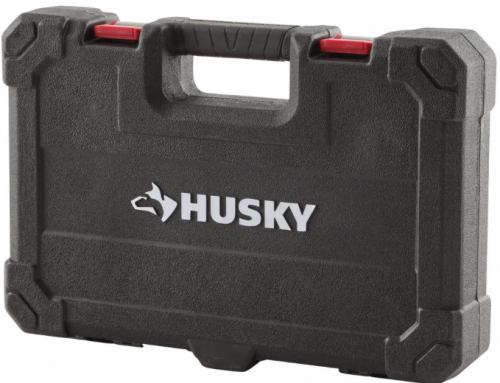 Every single Husky product is rigorously tested so that we don’t have to wonder. 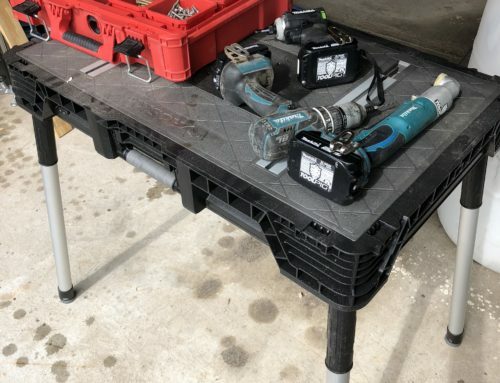 Seeing first hand what they go through I am convinced that they are high quality and we can actually trust these tools and accessories. These wrenches are no different. They seem to be some of the nicest sets that Home Depot offers. I like the industrial black finish with laser size markings. we have only seen one chip on one wrench. We have not seen one speck of rust in several months of use. We are in the Midwest and it is very humid here. I kind of like the trend away from chrome but I’m sure at some point chrome will regain that popularity. I like the extra length because it makes it easier to turn those sticky bolts and nuts. Both ends are made to maximize the power we can generate with our hands. The open end is called surface grip and the design allows for up to 80% claimed better grip over standard open end wrenches. I have no reason to doubt that as we had absolutely no slippage on any Application. The box end is also a departure from Standard box end wrenches. Instead of a six or 12 point design it looks more like a spline. This allows it to grip better and helps it to avoid rounding the fasteners off. It works on just about any type of bolt. It could be a hex head, external Torx, square or even a rounded off head. I know these are not going to make a professional mechanic go out and sell their snap on, Mac or Matco wrenches. These are made for general-purpose use like working on your own car or truck or machinery. If you need a quality set of wrenches these deserve a look. If you are able to use them I am sure you will like them as much as we do. Set includes 10 SAE wrenches covering sizes: 1/4, 5/16, 3/8, 7/16, 1/2, 9/16, 5/8, 11/16, 3/4, 7/8 in. I review and recommend products to help you buy the stuff you need. If you make a purchase by clicking one of my links, I do earn a small commission. My pledge to you is this: I will always say what I really feel. I will not taint my reviews to make a quick buck at your expense. I want you to know the truth about the tools I review for the good or the bad. My picks and opinions are independent from any business incentives. The black coloring on these tools make them look great. The fact that they are guaranteed forever would be enough for me to try them. I like a company that stands behind their product with confidence. I can’t stand buying appliances and being asked to pay for an extended warranty. It’s almost like they don’t trust their own products but won’t admit it.